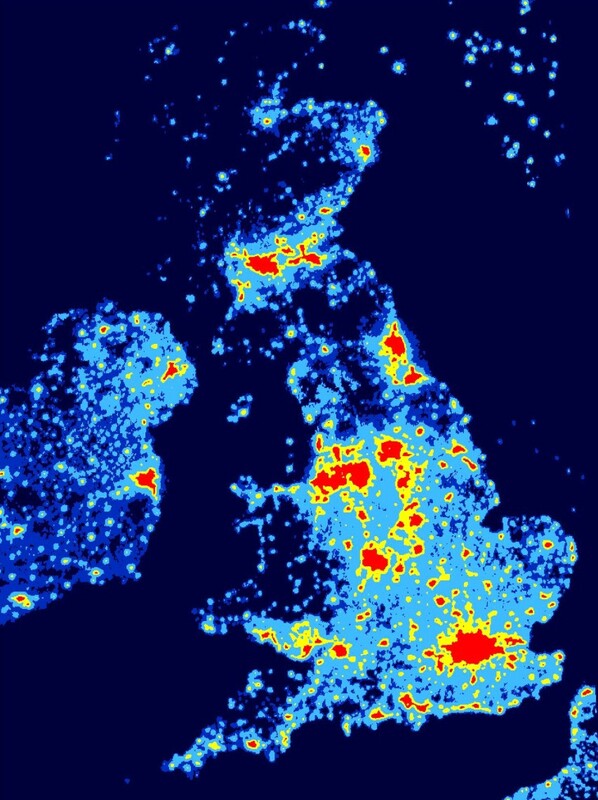 The UK now has a number of Dark Sky sites listed that give clear views or the stars and planets for Astronomy. There are 4 public observatories, all situated in Scotland and a large number of observatories in England, some of which can now be visited. The UK's first Dark Skies Park is in the Galloway Forest southwest scotland. This is a huge scenic forest park with a number of places to set up your telescope for some of the best views from the UK. The website gives information on places to set up and events that are held there. Website: www.forestry.gov.uk/darkskygalloway . Map . Reviews. If you are just starting in astronomy, a visit to the Centre can give a great start, particularly if you take one of our courses or try out our demonstration telescopes. Experience our friendly, informal hospitality and truly dark skies. Tel 01988 500 594. Website . Newton Stewart Area information . Postcode DG8 8NE . Opened in October 2012 with the night skies here some of the best with countless stars, the Milky Way, shooting stars, planets, comets, and the Northern Lights are visible. Open to everyone. Phone 01292 551 118. Website . Ayrshire Area information . Map . The only full time public astronomical observatory in the UK built in 1935. The dome houses a Victorian refracting telescope and small planetarium. Admission is FREE to the Observatory and displays with a small charge for group visits and public Planetarium Shows. Tel 01382 435 967. Website . wiki/page . Dundee Area information . DD2 2UB . The Observatory was moved from its original building on Calton Hill in the city centre to Blackford Hill in 1896, on the city south side where the skies were darker. The observatory welcomes group and school bookings. Public Astronomy Evenings are held weekly over the winter months. Tel 0131 668 8100.
www.roe.ac.uk . wiki/page . Area information . EH9 3HJ. Operated by the Paisley Philosophical Institution with their first telescope being a five inch refractor. A ten inch refracting telescope was added in 1898. During the winter months, the observatory is open for telescope viewing, depending on the weather. Free with clear nights the telescope is trained on the moon, planets and other interesting sights. Tel 0300 300 1210. Website . wiki/page . Glasgow Area information . PA1 2DE . This Observatory was installed on the roof of the Airdrie Public Library in 1896. This is the smallest of four public observatories operating in the UK with a number of smaller telescopes that can be used at the observatory or at "dark sky" sites for observing sessions. Visits by appointment. Tel 01236 758 070. Website . wiki/page . Glasgow Area information . ML6 0AG. An old astronomical observatory in the centre of Manchester, in the University of Manchester's Sackville Street building. The observatory is run by the Manchester Astronomical Society with visitors welcome at the public lectures where they can use the equipment a few times to find out if they want to join the society. Tel 0161 306 4977. Website . wiki/page . Area Information . Postcode M60 1QD. J A Jones Hoober Observatory is a privately owned observatory operated by Mexborough & Swinton Astronomical Society, open to the public for evening viewing sessions during the winter months, for Solar observing on Sunday afternoons during summer, and astronomical events such as meteor showers or lunar eclipses. www.msas.org.uk . wiki/page . Area Information . S62 7SH . Northumberlands Number 1 visitor attraction with universal splendours to all, from observing Jupiter to Uranus, gas clouds and quantum theory. The website lists events you may like to come along to see. Tel 07805 638 469. Website . wiki/page . Area Information . NE48 1ER . The Norman Lockyer Observatory and Planetarium has a public optical observatory. The facility has been operated by the East Devon District Council since 1988. A convention center for lectures and academic conferences was added in 2005. Tel 01395 579 941. Website . wiki/page . Area Information . Postcode EX10 0NY . An amateur astronomical observatory operated by the Mansfield and Sutton Astronomical Society with the main dome housing a 0.61 m Newtonian Reflecting telescope. The club holds society meetings and public open evenings. Tel 01623 552 276. Website . wiki/page . Area Information . Postcode NG17 5LF . An astronomical teaching observatory at the University College London with free public open evenings, normally fortnightly on Fridays during term times. Visitors undergo a short introductory lecture then a full tour of the telescopes and facilities. Tel 02035 495 807. Website . wiki/page . Area Information . Postcode NW7 2QS .